On the first day of our arrival, we were wondering where to have dinner. 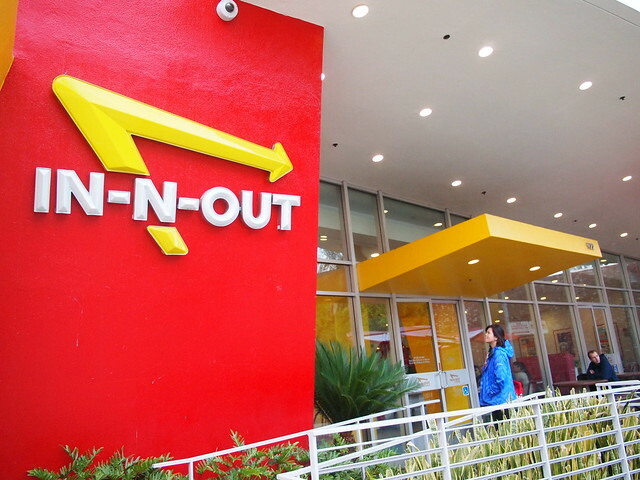 Then I was reminded of this year’s April Fool’s joke: In-N-Out Burger was opening a franchise in Singapore! 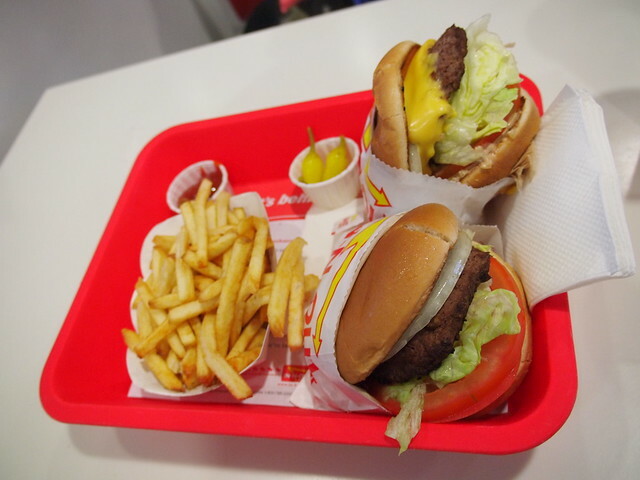 There must be something about In-N-Out burgers. 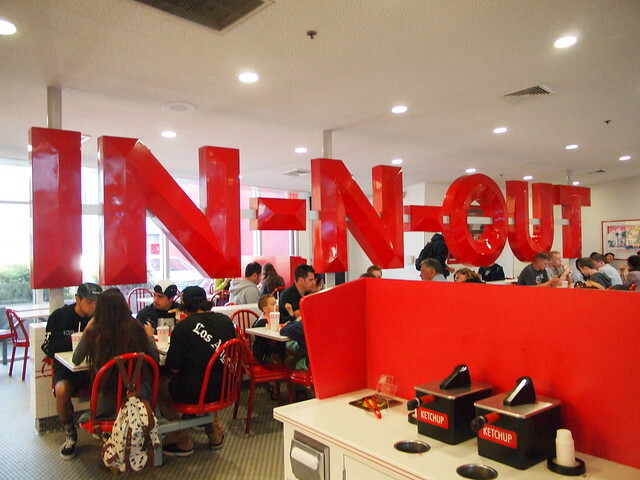 So we fired up Google and found that the nearest outlet was near UCLA, only 15 minutes’ drive away. It wasn’t too difficult to find the location but it was for a parking lot. Took us almost half an hour to find an empty slot and since we had no coins I had to use my credit card to pay. 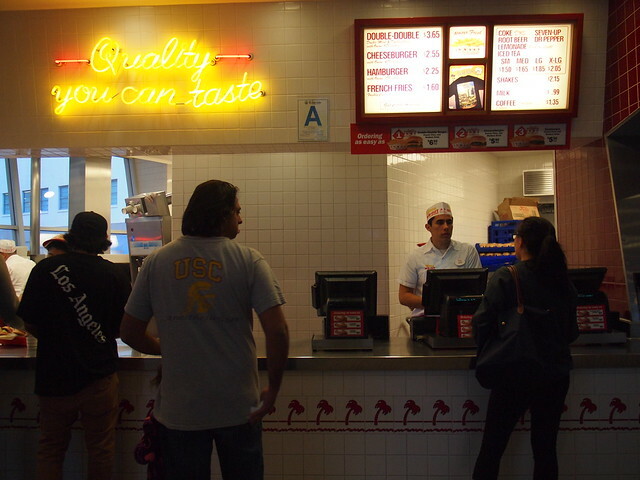 While there wasn’t much of a queue to order, there were many customers waiting for their food near the counter. We spent some time figuring what we would like to have. Ying chose hamburger while I opted for Cheesburger. We also got French fries and a drink to share. We would need to wait for around 10 minutes for the food to be ready. The beef patty was thick and juicy, the buns were soft and fluffy and the vegetables tasted fresh to me. That was a winner burger. 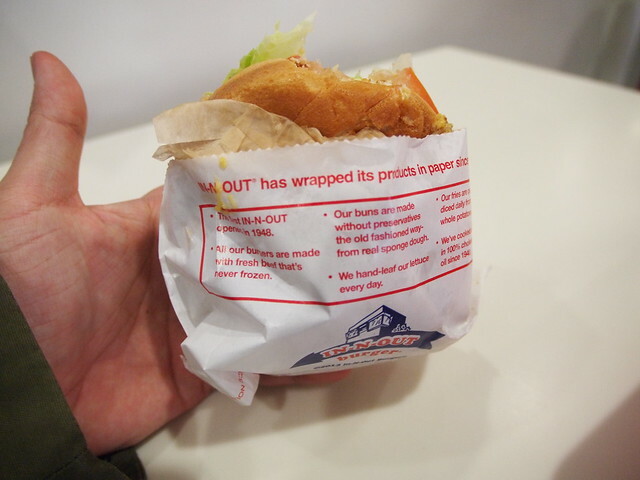 There were also assurances on the wrapping papers which reminded us that the beef used was fresh and never frozen and the bun were made without preservatives. I would take their words for that. 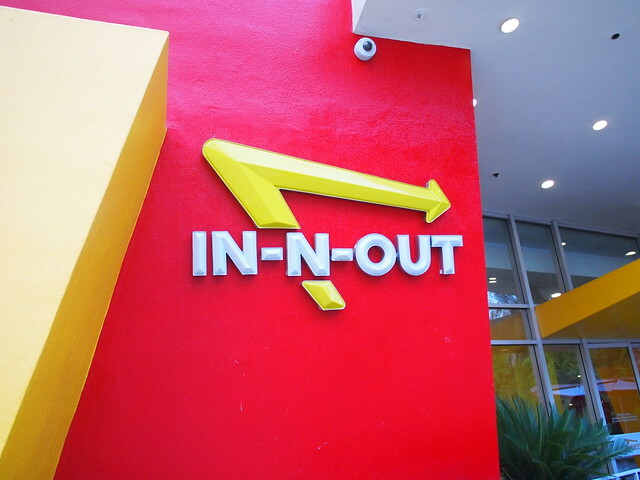 This entry was posted in United States and tagged In-N-Out Burger, Los Angeles, United States. Bookmark the permalink.